Sometimes company names are so similar that it causes confusion. 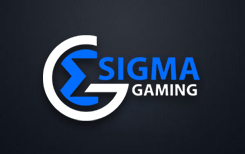 When talking about Sigma Games, there are probably players who know it as a provider of land based casino games that was successful for decades but had to shut down in the early years of 21st century. But that company had another name – Sigma Game Incorporated. Sigma Games targets online and offline gaming segments alike. This can hardly be called a premium developer, but the quality of their slot machines is decent. You won’t be amazed by visuals and unique features, but can have a nice gaming experience. Their slots are usually left unnoticed because they have to compete against hundreds of other heavily advertised titles. So, chances are many punters haven’t tried them yet, and that’s an opportunity to try some new games and perhaps find titles they’ll enjoy for long at best Sigma Games casinos. Founded by two experts, this company seemed to know well what to do and how to promote its services. So far it has released games for numerous markets including US, Germany, UK, Russia, Spain and others. That means the supplier is able to comply with multiple standards and is aware of laws in different jurisdictions. Sigma Games holds UKGC license and therefore is considered to be safe and fair. As the company targets global market, it has to provide fair games in order to be distributed to reliable Sigma Games casinos around the world. Moreover, James Ramshaw and Kevin McGovern, who are co-founders and currently run the company, have a spotless reputation. This year Sigma Games signed a deal with L2W Limited. According to their agreement, Sigma Games will work closely on production of Linka games which use innovative gaming system. The results of this cooperation are scheduled to appear at the end of this year. Based on Linka games they have right now, you can expect even more unique and engaging games to be produced together with Sigma Games. There are few video slots released by this supplier and they all have different themes. They are produced in HTML5 format and therefore available for PC and handset users. Generally, you can see their slot machines being released on Quickfire platform, but some of the titles might be additionally available on other platforms increasing the number of operators on the list of Sigma Games casinos. Following today’s trend, the company has released two Asian themed titles: Kites Kingdom and Golden Money Frog. Both games look very simple, but offer great features which can award you massive payouts. In Kites Kingdom you’ll have the Kite Streak feature. When the feature is triggered, certain symbols get locked after landing on the reels and re-spins get activated. In the end, there can be multiple five-of-a-kind combinations and great amount of credits won. Unlike many other games, Kites Kingdom is available on Pariplay platform and not Quickspin. Golden Money Frog has one unique feature called Win Line Charms. When it gets triggered, players receive up to 30 additional paylines and that’s a sure way to land more winning combinations. Money Pond Bonus is a jumping challenge for a golden frog. There are nice multipliers to be awarded. And finally, there are three progressive jackpots available to players. To enter jackpot round, you need three bonus symbols. Once the round is triggered, you are offered to spin a wheel to determine what prize you are going to receive. This game is distributed through Quickspin and LeGa platfroms and can be played at best Sigma Games casinos. Make sure you don’t miss Roll’em Roll’em video slot which is a mixture of dice, card and slot games. There are multiple mini games to win multipliers, free spins and bonus credit. Those mini games would remind you of craps and video poker. This is an engaging slot machine and players who love craps, video poker and card games will enjoy it a lot. You can find it at reliable Sigma Games casinos which use OpenBet software.